The first notes of “Un mondo d’amore” were enough to make the 3.000 people present at Malta Fairs & Conventions in Malta, which welcomed Gianni Morandi with an enthralling enthusiasm. 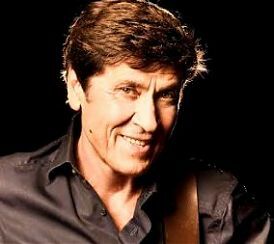 The show, organized by Giuseppe Rapisarda Management, saw Gianni Morandi retrace the fundamental stages of his sixty-year career. In the playlist his greatest hits: “Occhi di ragazza”, “Scende la pioggia”, “La fisarmonica”, “Non son degno di te”, “Uno su mille”, “Dobbiamo fare luce”. The fans witnessed a journey through the music of yesterday and today, the same that marked the career of the artist but also that of Italian costume and musical culture. Gianni Morandi returned the warmth of the audience by giving a great show. The next appointment with Italian music in Malta will be July 19th when the three young artists of Il Volo will be on stage at the MFCC.